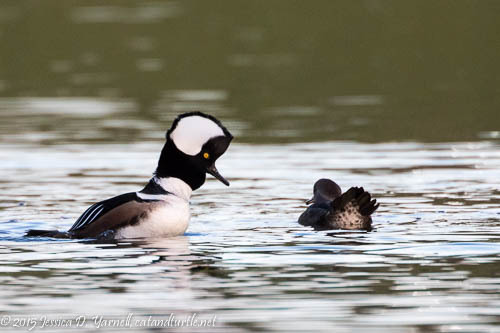 The Common Goldeneye that I got to see over Christmas break was hanging out in a pond with a bunch of Hooded Mergansers. 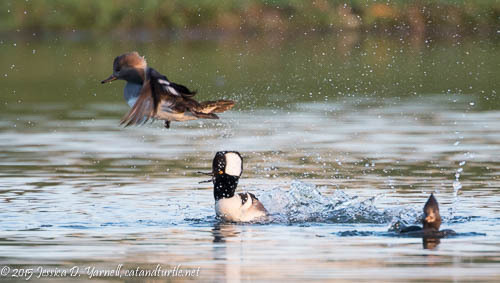 They were preening and diving together. It surprised me how well the Goldeneye blended in with the Hoodies. 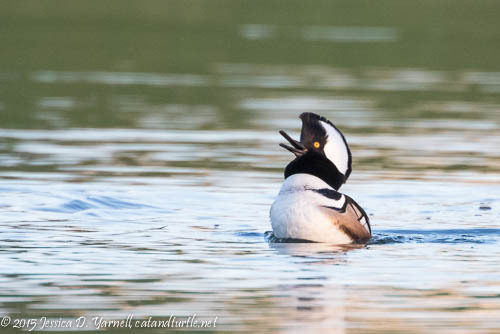 At first I was captivated by my lifer Common Goldeneye, but after a little while, I got tired of taking pictures of the rare bird that was just floating on the water, and my attention drifted to the diving Hoodies. I’d never seen this behavior before. 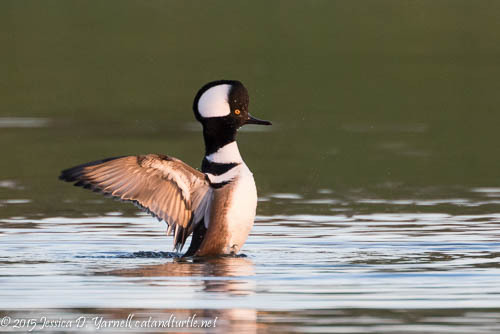 The males were throwing their heads up and showing off for the ladies. They were fun to watch. I wished I had better light and that I was a little closer to the birds. 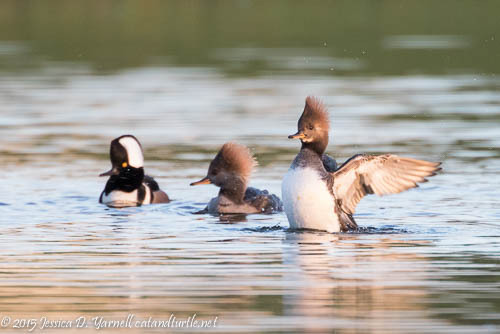 The Hooded Mergansers that come to my retention pond are much closer, but they don’t seem to romp as much as this flock was doing. My Hoodies just like to eat acorns. And fly away when the golfers come too close! As the sun set, the wing-flapping began. The ladies were the best showoffs in the wing-flapping category, but a male did give me a nice flap just as I had to leave.